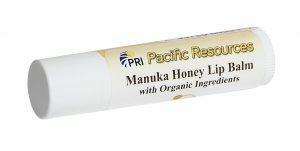 Pacific Resources International (www.shoppri.com), the California-based New Zealand importer that was the first to introduce Manuka Honey to American consumers, is now offering a line of Manuka Honey Lip Balm made with New Zealand Manuka Honey to protect and moisturize dry lips. One of the first steps in beauty maintenance is to make sure that your lips are soft, supple, and healthy during the changing seasons. All the makeup in the world can’t fix dry and cracking lips. So Pacific Resources International (PRI) went to work searching for the best possible cure for dryness on sensitive areas like lips, using all natural ingredients. 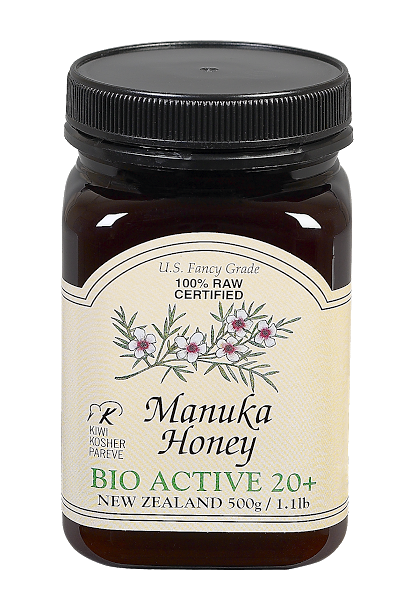 The company quickly discovered that the secret all-natural bounty of moisture was right in front of their eyes: their very own Manuka Honey – a fantastic, all-natural way to repair and moisturize dry and damaged lips. Indeed, the hygroscopic glycerin in Manuka Honey has been shown to absorb moisture from the air and to draw moisture into the skin. 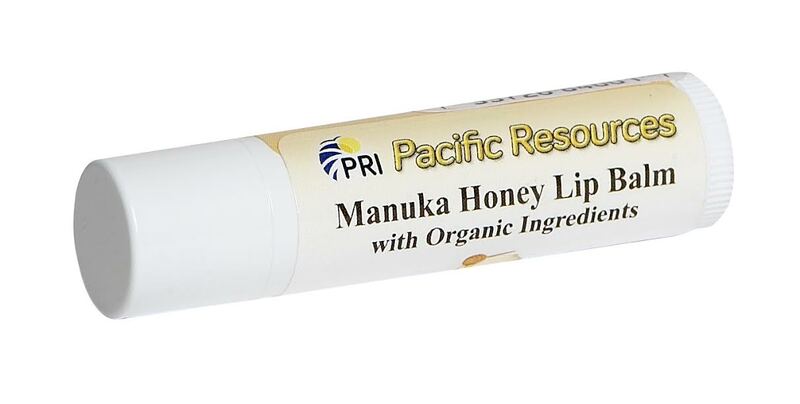 Made entirely with natural organic ingredients and flavoring and not tested on animals, PRI’s new Manuka Honey Lip Balm packs the incredible skin benefits of Manuka Honey straight from New Zealand along with specially formulated organic ingredients all into­ a convenient lip balm container that’s every bit as convenient as it is effective. I had the opportunity to try this out and it is my to-go-to Summer Lip balm! It really does help with dry lips and I don’t leave the house without it! I also really like that this product hasn’t been tested on animals. 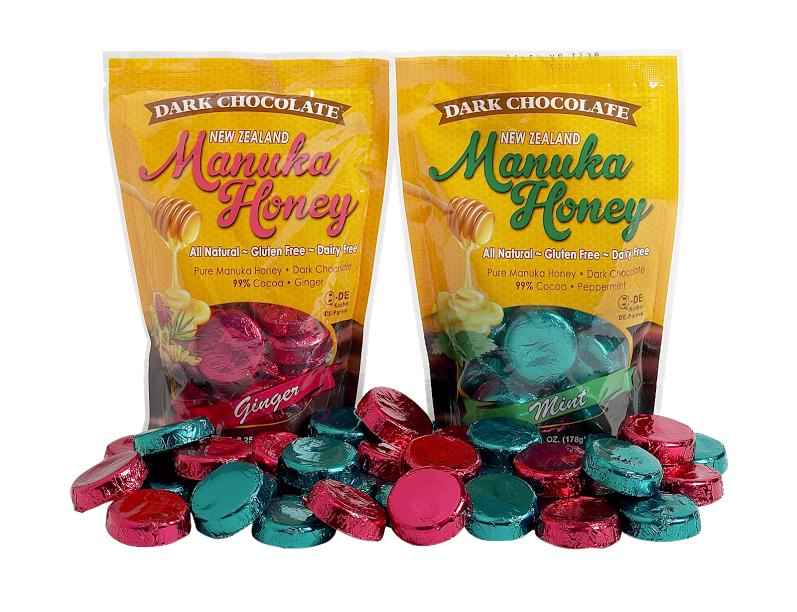 I really like the Manuka Honey Chocolates! These taste really good! 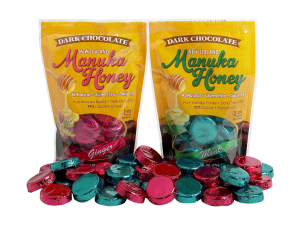 Pure Manuka Honey wrapped in rich dark chocolate! I also like that they are not made with artificial colors, flavors or preservatives. Pacific Resources International also have some delicious Manuka Honey Salted Caramels! Yum! And, if you are looking for Sea Salt or Chipotle BBQ Salt….they have the best! We use it all the time at out house!